As GRID Alternative's Nepal Project Coordinator, Khadak leads and coordinates the International Program's projects in Nepal among various stakeholders from inception to implementation. He is a tourism entrepreneur who used to run a trekking company in beautiful mountainous country of Nepal, before joining GRID. It was actually through his trekking company that Khadak originally became associated with GRID Alternatives, serving as GRID's logistics provider on our first projects in Nepal. His previous professional experiences include working as Environmental Officer for Government of Nepal, independent consultant for local and international non-profits, researcher for scientific and development projects, among others. 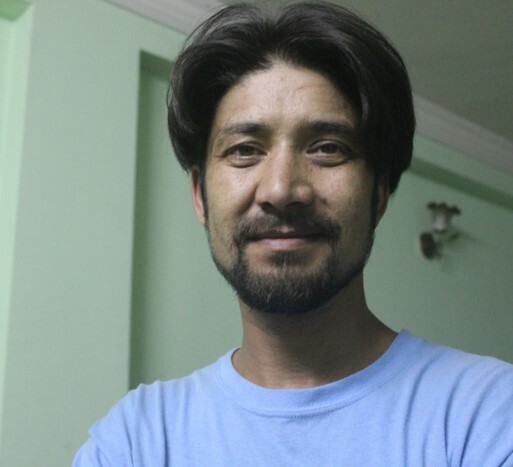 He holds Masters’ degree in Environmental Science and Natural Resource Management from Kathmandu University. He is an avid trekker who likes to visit remote areas ‘Beyuls’ of the Nepalese Himalaya once in a while and is very well-traveled inside his country.